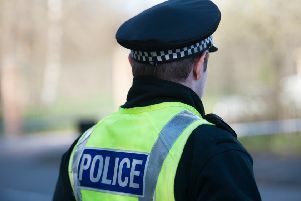 A 31-year-old man was seriously assaulted in Grangemouth on Saturday evening. Police are appealing for witnesses after the attack which occurred around 9.25pm outside the Four in One takeaway in Central Avenue. The victim was involved in an altercation with four or five youths when the assault happened. One of the youths involved is being described as about 16 or 17 years old, 5ft 8ins, skinny build, short dark hair and clean shaven. He was wearing a red/orange Stone Island top and blue jeans. Anyone with information is asked to call police on 101 or information can be given anonymously to Crimestoppers on 0800 555 111.